born through an the abundance of Thailand's natural latex. Pacific and the Middle East. The factory operates 10 fully autometed latex dipping machines with an annual output capacity of 500 million gloves, and a staff of 700 people. unparalleled levels of quality and satisfaction. Our gloves are produced to the highest quality standards to ensure our customer all over the world recive the best products possible. We currently export our gloves to over 75 countries and are continuously exploring new markets. We are proud to have been ISO 9001 and ISO 13485 certified since 1998 and also hold CE, JPAL and Thai FDA certification. M.R.I. 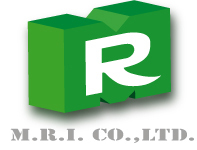 Co., Ltd. has been managed since 1988 by its founder Mr.David Cheng.